I’m such a big fan of petunias that I find petunia seedlings every where in my garden. 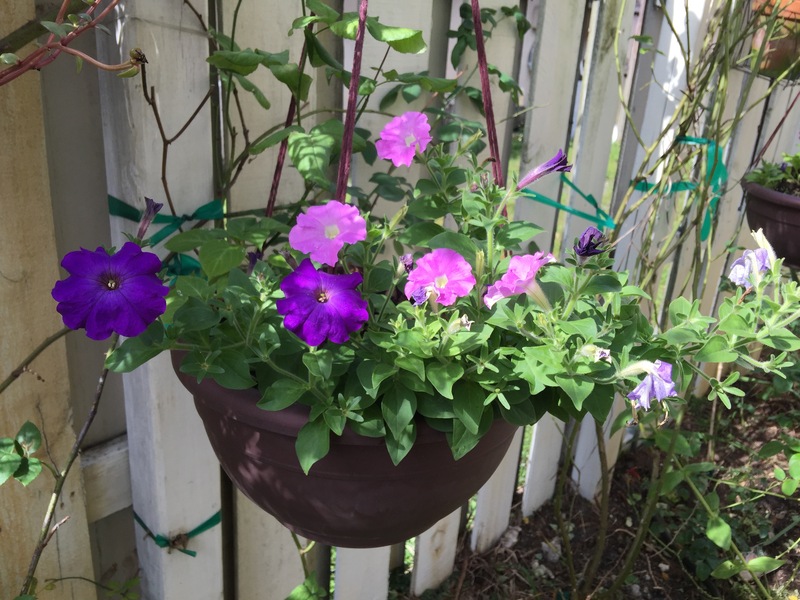 Usually in the same planters that held petunias last season. Wild, or self-sewn petunias are usually bubble gum pink or deep purple. But sometimes unusual color combinations pop up. It can be fun to see what the pollinators come up with.